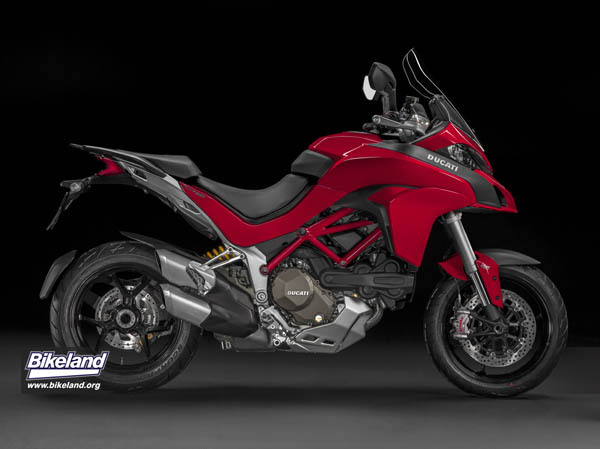 At EICMA today Ducati unveiled their plans for 2015, including a new 1299 Panigale to replace the 1199, a new Multitrada, and a new Diavel sub-model. 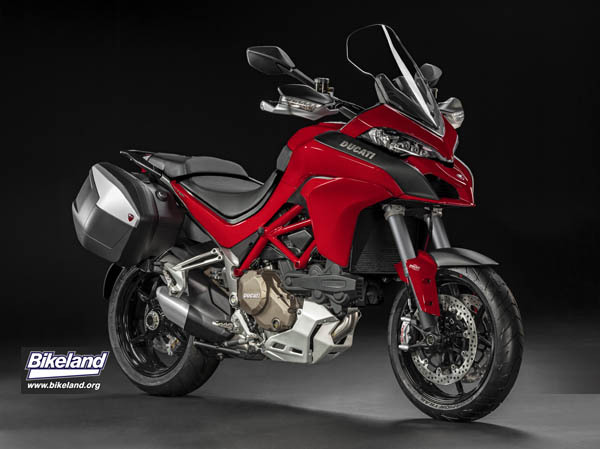 The Multistrada features a new DVT engine that provides 10hp more, and a host of new electronic aids, including an optional airbag system. 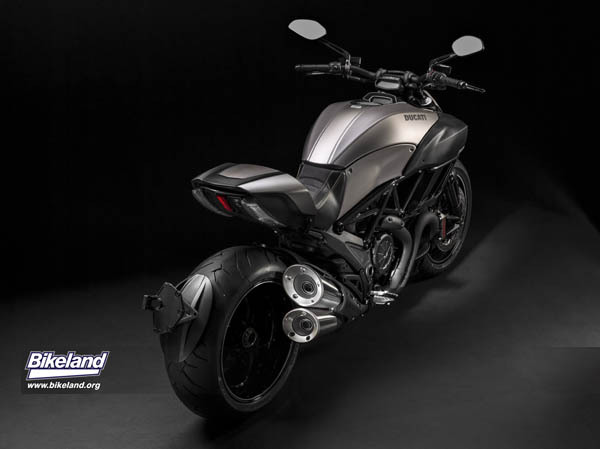 The Diavel Titanium is a limited edition with a number of titanium and carbon fiber bits for weight savings and style. 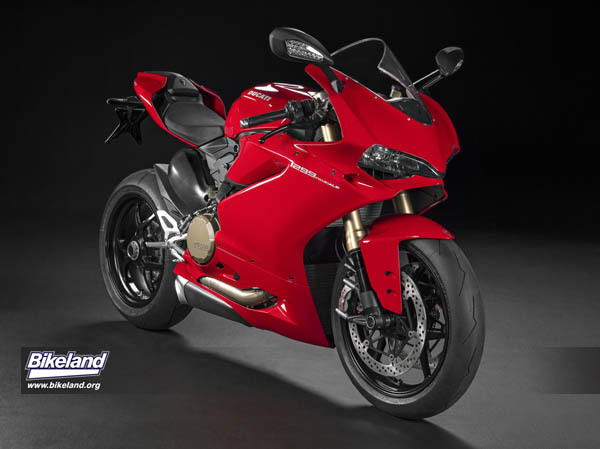 Panigale has become a new benchmark standard for very high performance bikes. Corse, to allow everyday fans to experience the technology of world champions. increased rear traction in a variety of situations. 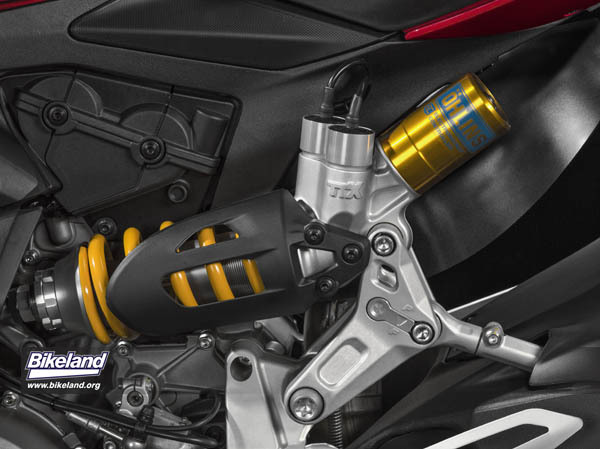 (DWC) and, on the S version, the Öhlins Smart EC, an event-based control system for the suspension. 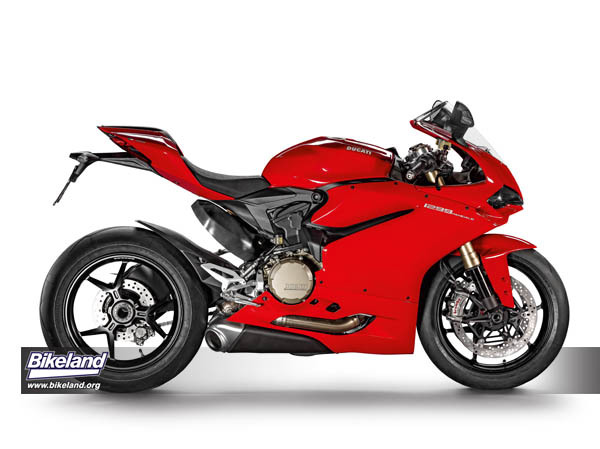 Every single detail of the Panigale is a tribute to the legendary sports tradition where Ducati's roots lie. 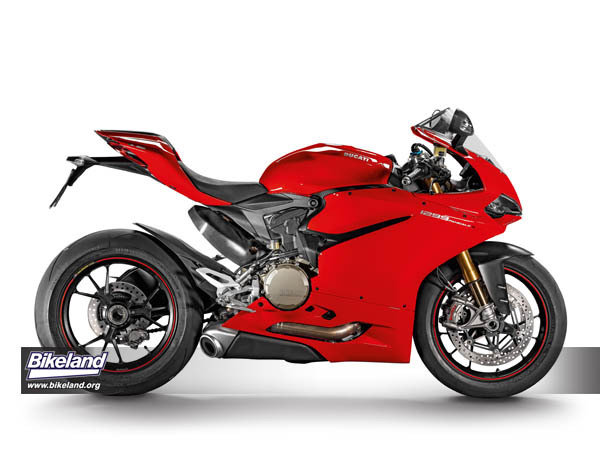 two sections, completes the form of the 1299 Panigale, which also has new lateral ducts and mirrors. aluminium footrests, to provide maximum on-road grip. of desire that will fill the dreams of fans throughout the world. maximum torque value of 144.6 Nm. minimalist and have an essential style, created with skill to become works of motorcycle art. 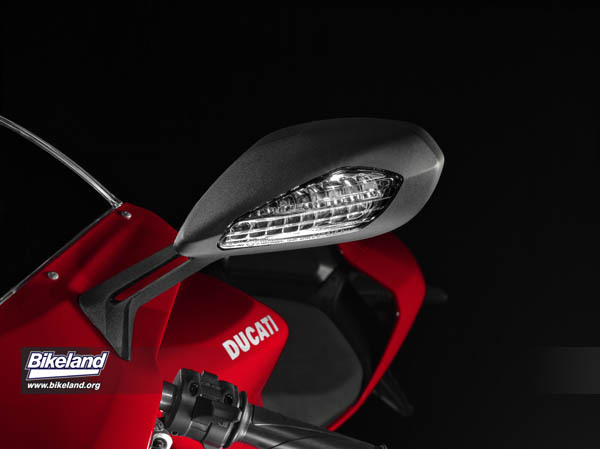 the 1299 Panigale S version has full LED lighting. 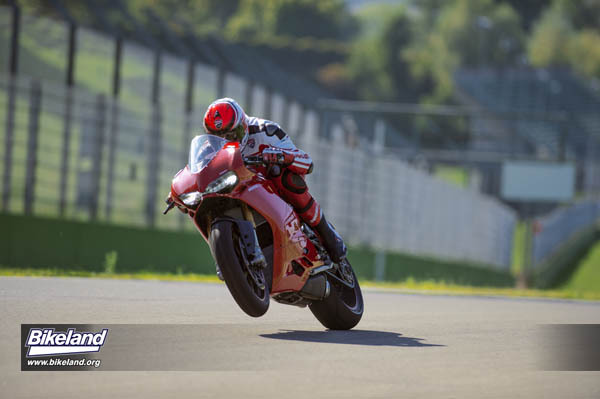 With the new 1,285 cm 3 Superquadro power unit, Ducati has raised the bar on performance yet higher. every 24,000 km as with the previous version. 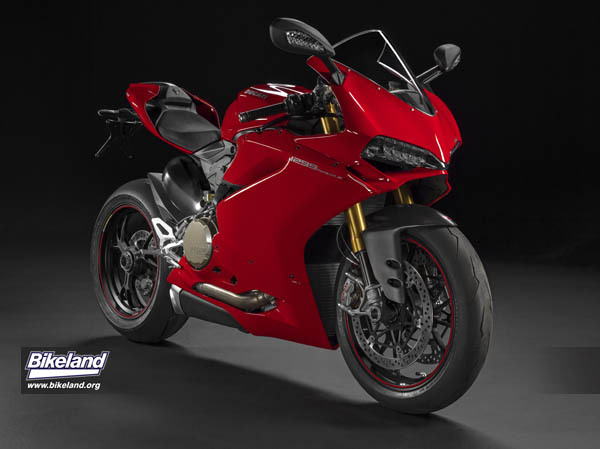 together with the 60.8 mm stroke mean the overall displacement is 1,285 cm3. 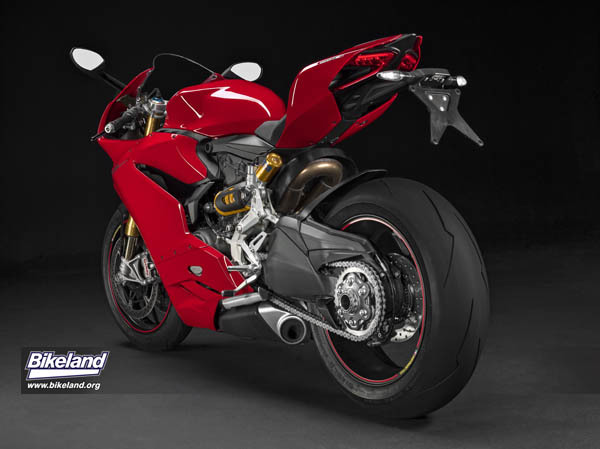 shaped twin-cylinder, and improves the distribution of weight between front and rear. 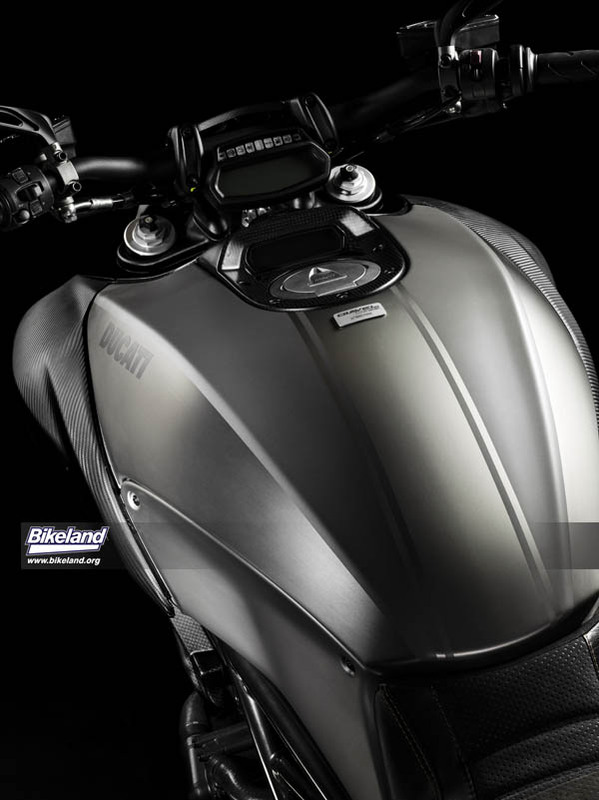 to guarantee greater rigidity, as in the case of the magnesium head covers and those on the clutch side. The oil sump is also in magnesium. 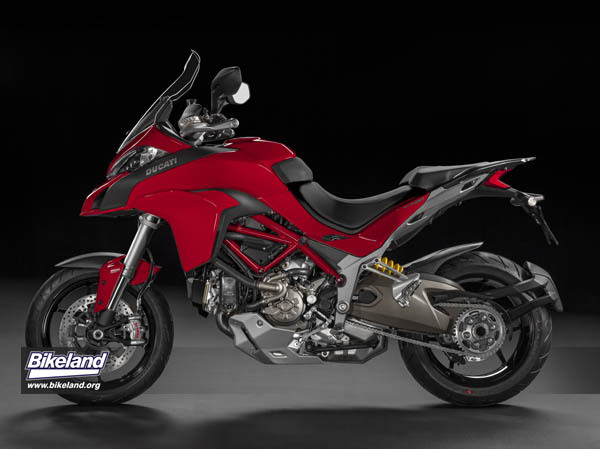 order to increase rigidity and strength, necessary for the extreme power delivery of the Superquadro. the greater load of the 116 mm diameter pistons. lubrication oil is collected efficiently in any condition of engine use. located above the throttle body, is activated when the engine requires a higher performance. unburned hydrocarbons, efficiently reducing the levels of carbon dioxide and carbon monoxide (CO). been redesigned compared to the previous 1199 Panigale model. DTC, DWC or EBC systems during track use. choice of eight profiles developed by a team of riders and professional test-riders. 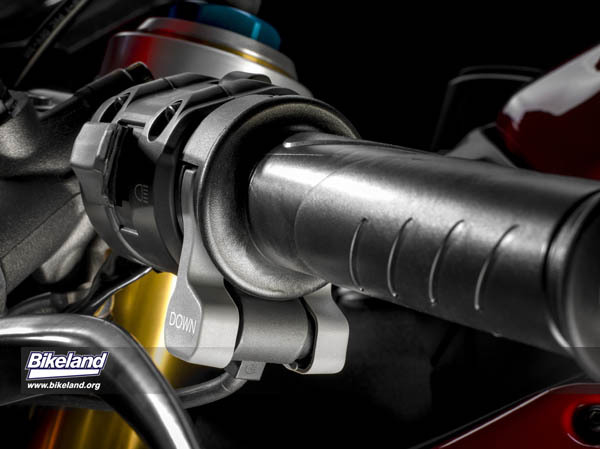 clutch and EBC it facilitates seamless downshifts in full control, even during the most aggressive riding. of the selected Riding Mode. tubes, a TTX shock absorber, and a steering damper, regulating each one independently. wheel, and with the Cornering function not engaged. each successive lap once it's been completed. weight of just 166.5 kg (367 lb). reduced from 100 mm to 96 mm. 48% at the rear for a rider of average build. fitted with Öhlins mechanical suspension. 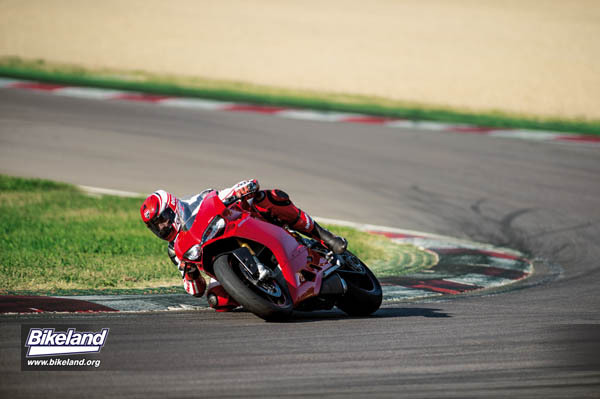 with the new Cornering ABS system which uses the extremely lightweight Bosch 9.1MP ECU. wheels, which are lighter for even better performance. the front and 200/55 x ZR17 at the rear. cornering, thanks to the monocoque technology used for the chassis. adapted specifically for the racetrack. rpm and a torque level of 136.2 Nm at 10,250 rpm. 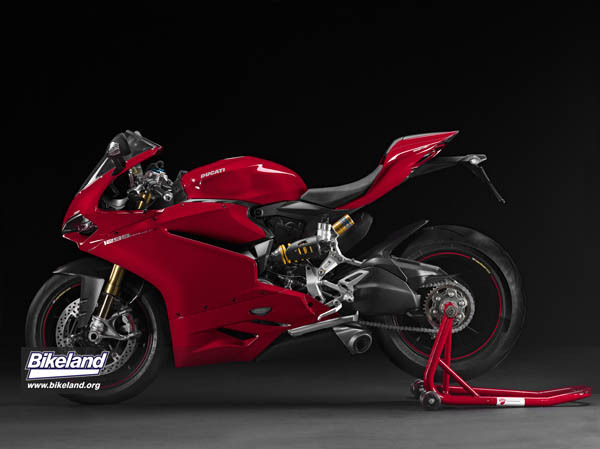 on power unit quotas in races reserved for modified production bikes. further increase stability particularly in conditions of extreme track riding or racing. 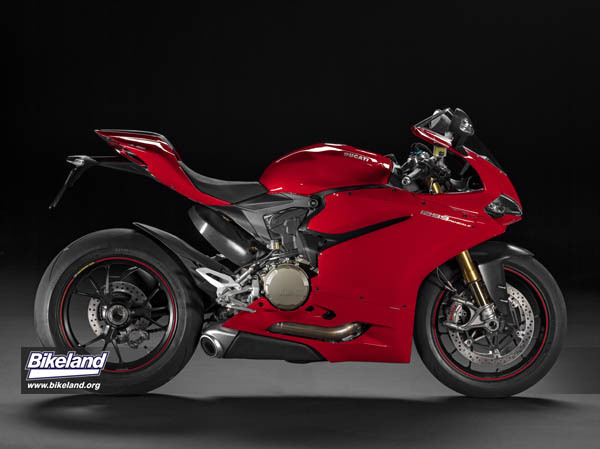 R weighs 6 kg less than the 1199 Panigale R.
Fuel injection: Electronic fuel injection system. Twin injectors per cylinder. Full ride-by-wire elliptical throttle bodies. Front wheel: Tri-Y spoke light alloy 3.50" x 17"
Front wheel (S, R): 3 spoke forged light alloy 3.50" x 17"
Rear wheel: Tri-Y spoke light alloy 6.00" x 17"
Rear wheel (S, R): 3 spoke forged light alloy 6.00" x 17"
far more than just the 4-bikes-in-1 offered by its Riding Modes. 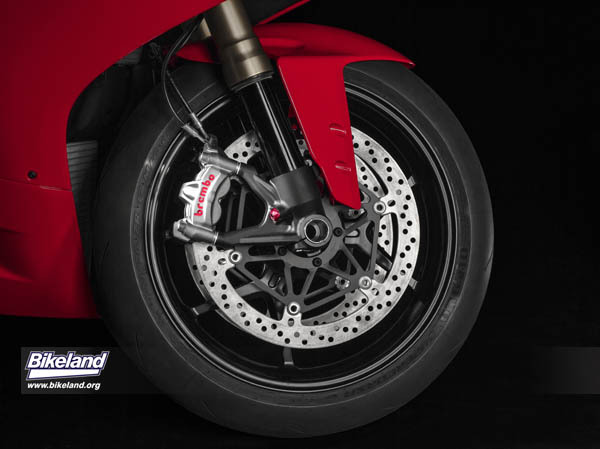 (DWC): this detects and corrects any front wheel lift to ensure maximum acceleration in complete safety. 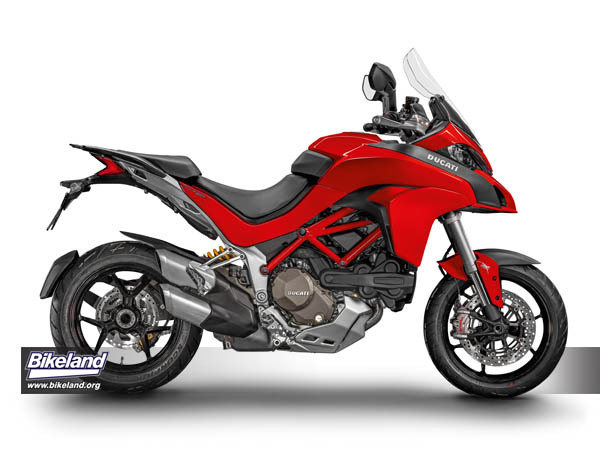 system featured on the Multistrada 1200 S.
will deliver easily accessible weekly updates of a variety of content. 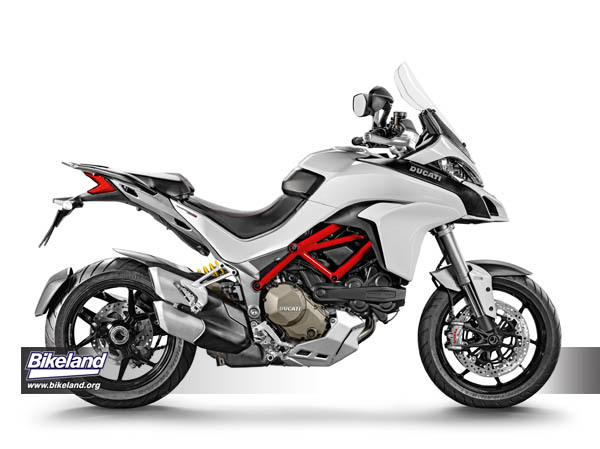 tourer, yet it is equally capable as an everyday bike for getting to work or handling grittier off-road routes. 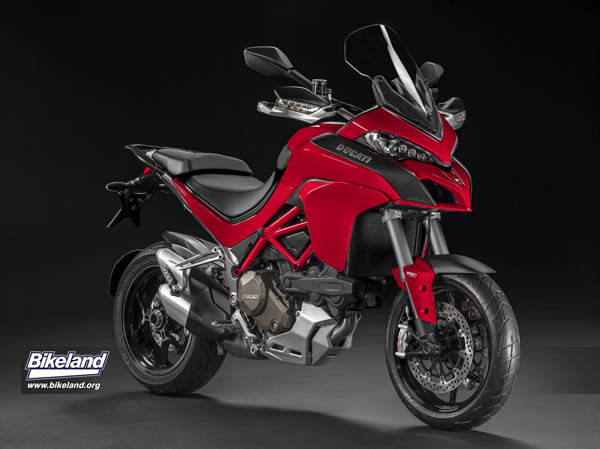 This new style of the Multistrada 1200 enhances its perceived quality compared to the previous model. 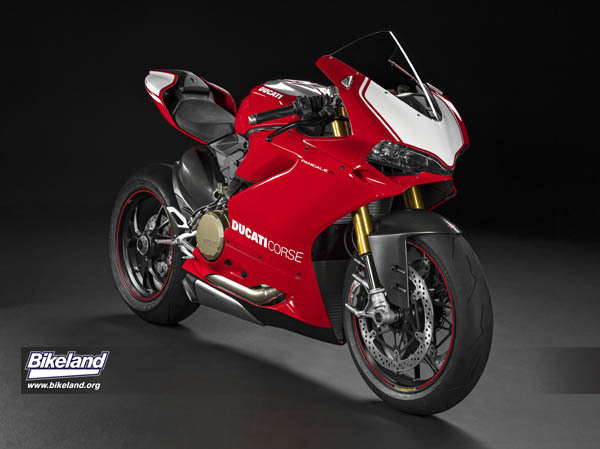 underscore Ducati’s conscientious attention to detail. Just like the new key with an aluminium insert, and the, modern, compact instrument panel (LCD on the standard, TFT on the S and D|air versions). 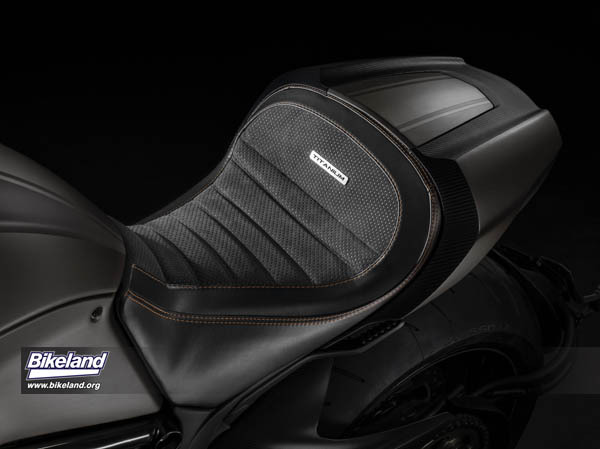 of both rider and passenger to ensure comfort that allows extended journeys without fatigue. removed to provide serrated-edge footpegs for added grip with off-road boots. filter out vibration and provide an optimal mix of comfort and road feel. is also available in the under-seat zone; this can be connected to a smartphone. roomy panniers, which are redesigned to enhance both style and practicality and are easily removable..
stand, which is useful when the bike is fully loaded. controls the exhaust valves, the DVT engine optimises high-rpm performance to provide maximum power. Euro 4 specifications and giving good fuel economy. When designing an engine one of the key performance parameters is intake and exhaust valve overlap. intake phase, is usually a fixed parameter - but not on the DVT. by dedicated valves and the timing of each cam is controlled dynamically by a sensor in the cam covers. valve springs; at low revs the system requires less force because there are no springs to be compressed. and allows them to be smoothly integrated. exceeding 100 Nm between 5750 and 9500 rpm. average of 8% over the riding cycle. keep the engine running smoothly even when lower-octane fuels are used or under other conditions (e.g. high altitude) that might affect combustion. oxidizing unburnt hydrocarbons to keep HC and CO levels to a minimum. a slipper effect to prevent hopping of the rear end during aggressive downshifts. improving combustion efficiency, and containing the running temperature of the Testastretta DVT engine. conditions, maintaining control, performance, and comfort at all times. front/rear action and rear-wheel lift detection off, while maintaining Cornering ABS functionality. Cornering functionality is off, and ABS on the rear wheel is disabled. maximum prevention of wheelspin. 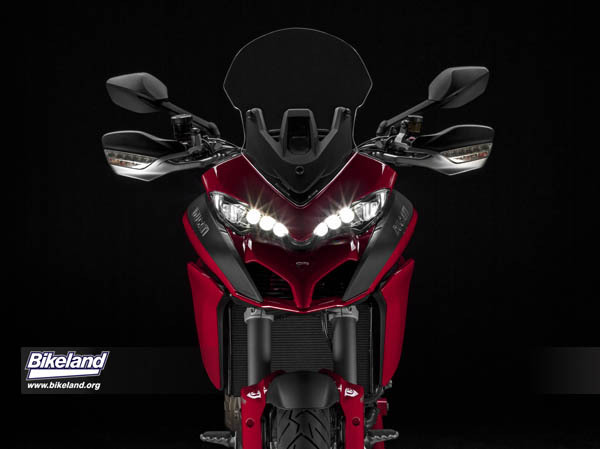 On the Multistrada 1200 DTC is incorporated into the Riding Modes. DSS Evolution system, settings have been further refined to maximize performance, safety, and comfort. the bike at considerable lean angles. four pressure detectors to allocate braking power optimally between front and rear. be saved and recalled at the next Key-On. applied only at the front. callipers with a 16 mm master cylinder. time and an icy road surface warning. rider with passenger or rider with passenger and luggage. activated simply by pressing a dedicated button. can be engaged with the push of a button, and is automatically released when the bike is next turned on. on city streets or narrow mountain roads presents no problem at all. ground clearance has been raised by 20 mm to 180 mm, a big advantage when riding off-road. board computer), the semi-active system exerts continuous control to keep the bike perfectly balanced. passenger and rider with passenger and luggage. front), is Pirelli’s latest enduro street tyre and the direct successor of the SCORPIONTM Trail. consistent performance throughout its lifecycle and first-rate running in the wet. both enduro and sport touring tyres. mileage without compromising on cornering performance and, above all, performs excellently in the wet. resulted in better handling, which remains consistent throughout the product lifetime. equipped with 3.50 x 17’’ front wheels and 6.00 x 17’’ rear wheels. 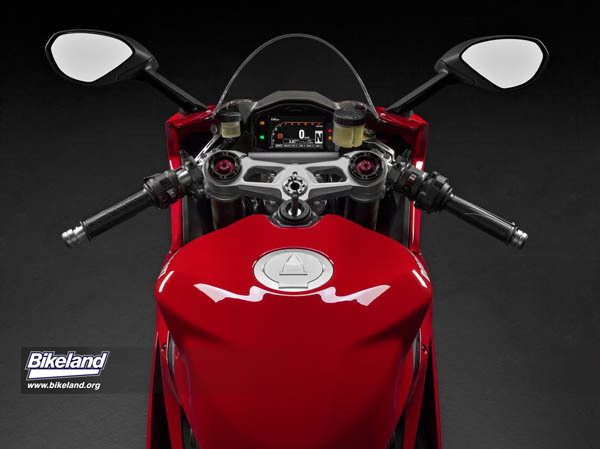 system that is wirelessly connected to airbag-equipped Ducati Apparel D|air® clothing by Dainese. 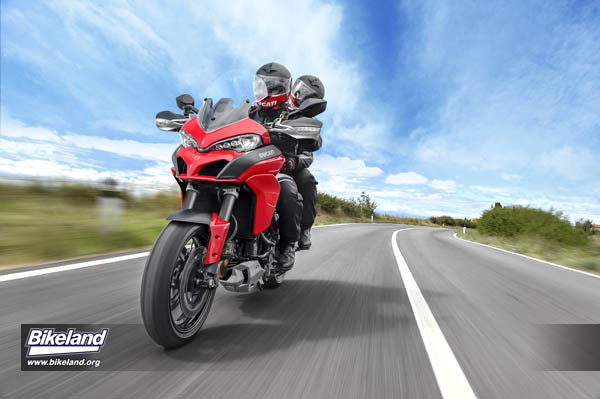 by the Ducati Safety Pack, provided as standard across the entire Multistrada 1200 range. available in Iceberg White. 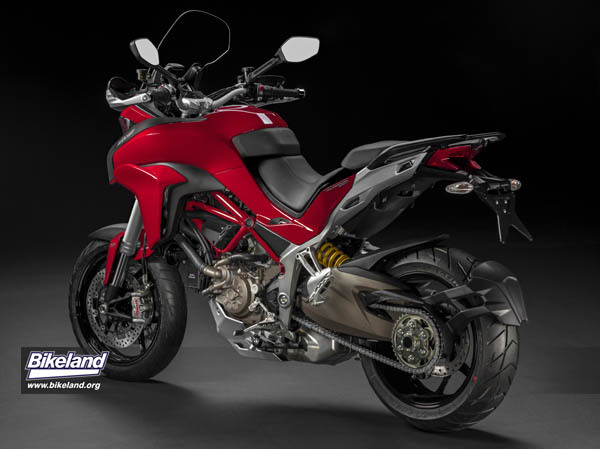 All models in the Multistrada family have wheels with a black finish. 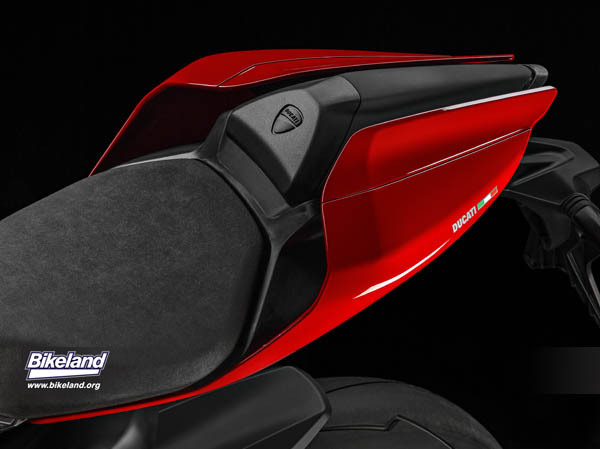 guard, a larger kickstand base and off-road footpegs. 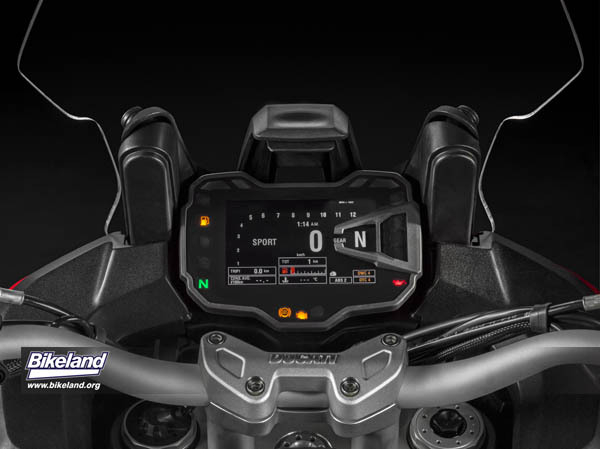 Instrumentation (S): Color TFT display 5"
(Kerb weights indicate total bike weight with all operating consumable liquids and a fuel tank filled to 90% of capacity as per EC standard 93/93). 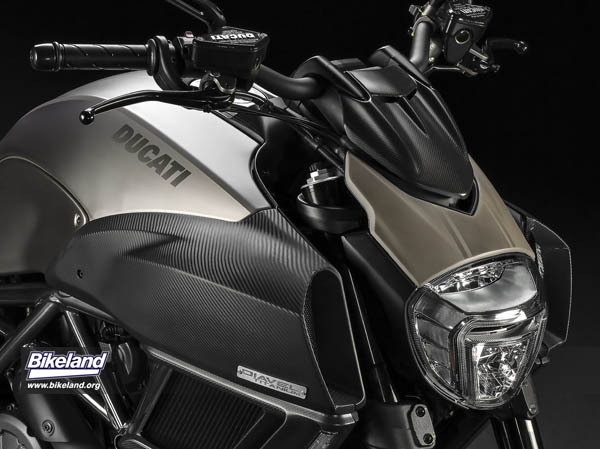 For 2015 Ducati wanted to take the bold and unique Diavel to a whole new level of prestige and desirability. technologies to produce super-smooth performance with enhanced comfort and usability. segment, just reward for the innovative designers and engineers that created it. (452 lb.) 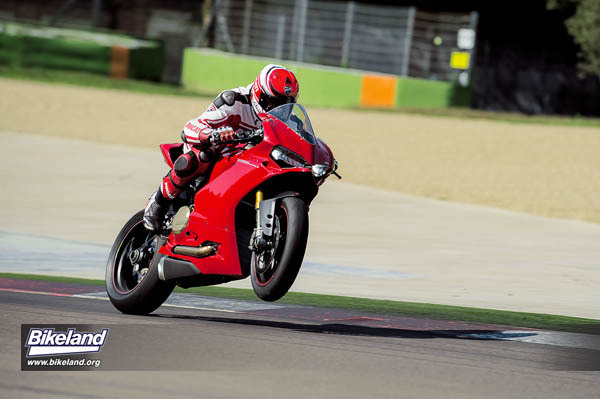 of pure Ducati drives a comfortable sport lifestyle previously only dreamt of. special version, titanium has been combined with carbon fibre. Carbon fibre has been used to make the redesigned air intakes, now wider and more powerful-looking. surround are also made of carbon fibre. each one given a unique identification number which is inscribed on a special plaque fixed to its tank.